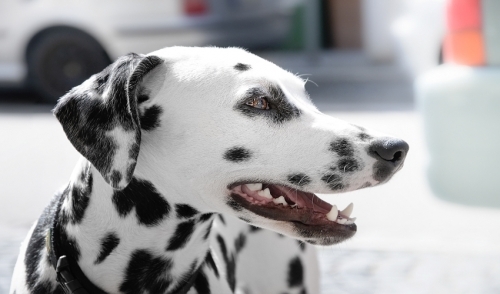 Share "What Are The Cleanest Dog Breeds?" All dogs are at least a little messy, but how much mess any dog owner can tolerate will vary greatly. For owners with small spaces, rental homes, pet allergies or high sensitivities to mess, even a slightly messy dog may be far too dirty. The number of pets in the home, the type of breed, the dog's personality, overall size and other factors can all influence just how dirty or messy one dog may seem to one particular owner. Furthermore, a "mess" can be different for every dog owner, and might include the dog's shedding and fur, eating or drinking behavior and slobbering, odor, housebreaking issues, digging behavior or even health concerns that could lead to messy behavior or body problems. Bathe and groom your dog regularly, using appropriate pet-friendly shampoos, brushes and other grooming tools. Be sure to trim your dog's coat in smelly spots, such as around the rear, long hairs that get stuck in the ears or fur on the face that may get food stuck in it. Feed your dog a healthy, nutritious diet. Many body and mouth odors are caused by a poor diet, and bad nutrition can also contribute to loose fur and excessive shedding, frequent defecation and health problems that can lead to more mess and odors. Visit the veterinarian regularly for checkups and include dental care in your dog's medical regimen. A healthy dog will produce fewer odors and develop fewer problems that can lead to messy conditions or other difficulties. Give your dog plenty of exercise and appropriate training with positive reinforcement. Working off your pet's extra energy will ensure there are no messy destructive behaviors, and if your dog is properly trained, it will be less likely to make unwanted messes. Keep your dog's living space clean. This includes washing its bedding and toys, vacuuming or sweeping floors and taking other steps to clean up so no odors, dirt, shed fur or other messes become problematic. All dogs can be at least a little bit messy at times, but if you know the cleanest dog breeds and take steps to keep your dog at its cleanest, those messes can be minimized and you won't ever think you have a dirty dog.